Wonderful Circus had its premiere way back in 1977, and since that time has been the most-performed title of Laterna Magika. In March 2012 we celebrated 35 years of uniterrupted presentation of this piece with more than 6 200 re-runs. In the current repertoire it is also the most typical sample of the art of Laterna Magika: a work by a great creative team that synthesizes various components of theatre. Theatrical space is transformed into a circus tent, and the audience is drawn into the action by, among other devices, a panoramic projected picture and popular tricks involving interpenetration of imagination and reality. This poetic story about a futile quest for the unachievable is embodied by figures of clowns incited by a magician – the Seducer – and a vision of the beautiful Venus, who takes on the forms of earthly women. A theatre building constructed in 1983, a stage with a specific dramaturgy. You can see there Laterna magika and Drama performances and a number of other original projects. After a period of 18 years independence (1992–2009) when the New Stage served as home stage for e ensemble Laterna magika, the New Stage became part of the National Theatre in January 2010, so did the Laterna magika ensemble. 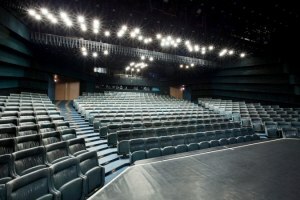 The New Stage of the National Theatre serves nowadays as an open space for performing arts with its separate management, a separate managerial unit within the National Theatre. The programming focuses primarily on contemporary cultural trends. The spotlight is aimed at contemporary dance, progressive drama alternatives, interactive performances, urban culture phenomena, multimedia projects, family programs and more. 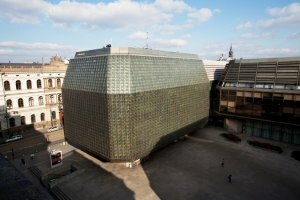 The New Stage has been since January 2010 playing an active part at the cultural scene in Prague providing the original concept of creative artistic institution within the structure of National Theatre. 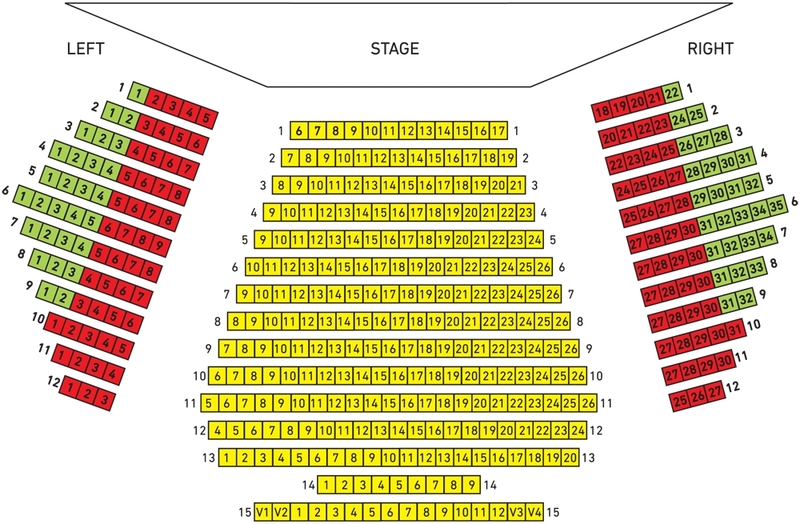 The New Stage is open to both Czech and international audience and the programming meets the needs of both audiences. 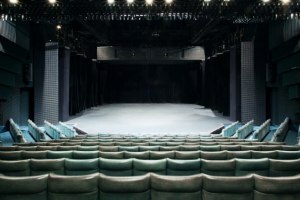 The repertoire of the New Stage can be divided into three parts: performances by the Drama and Ballet Ensemble of the National Theatre and performances by the artistic ensemble Laterna magika. The remaining third of the repertoire is devoted to international guest performances, local and international co-productions, emerging artists in theatre and visual arts, contemporary dance, workshops, conferences, festivals and other accompanying programs. The repertoire of the New Stage includes also a wide-range of special projects and one-off events that take place both in the New Stage building as well as the piazzeta of the National Theatre. To the centre (Old Town), approach on Masarykovo nábřeží (Masaryk embankment) in the direction from the Dancing House, at the fork crossroads in front of the National Theatre turn right to Divadelní street and then right again to Ostrovní street to the National Theatre car park. Parking costs 50 CZK/h. By daytime trams Nos. 6, 9, 18 and 22 or night trams Nos. 53, 57, 58, 59 to the stop “Národní divadlo”, by daytime tram No. 17 to the stop “Národní divadlo”. To the station “Můstek”, line B (yellow), and then by foot along Národní street, or to the station “Karlovo náměstí” and then two stops by trams No. 6, 18 or 22 to the stop “Národní divadlo” To the station “Staroměstská”, line A (green), and then two stops by tram No. 17 to the stop “Národní divadlo”.